After gorging ourselves on sugary treats, fatty meats, and all of those other worldly vices on Fat Tuesday, another Lent is upon us. And while Ash Wednesday is traditionally a day of fasting, it falls on February 14, the feast of Saint Valentine. 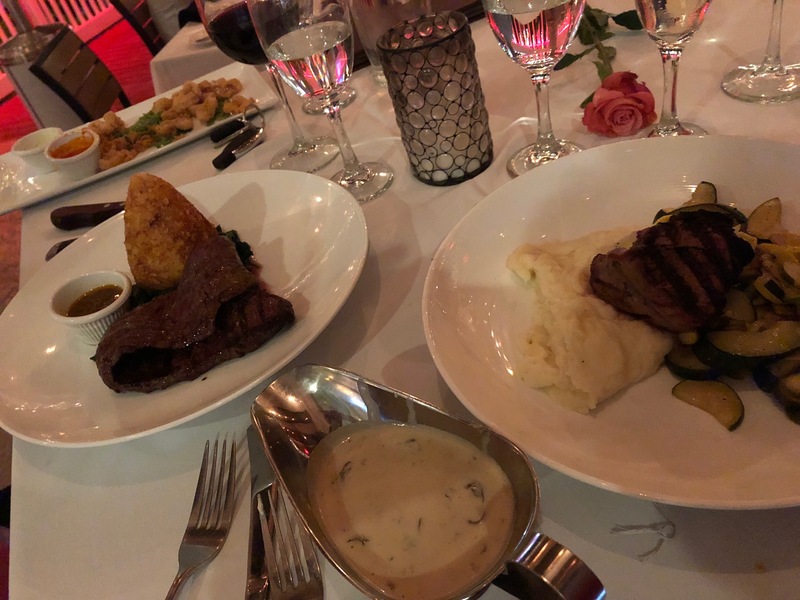 This year, I decided to take Susan to a place we haven’t dined at yet – CHE!!! in Delray Beach. 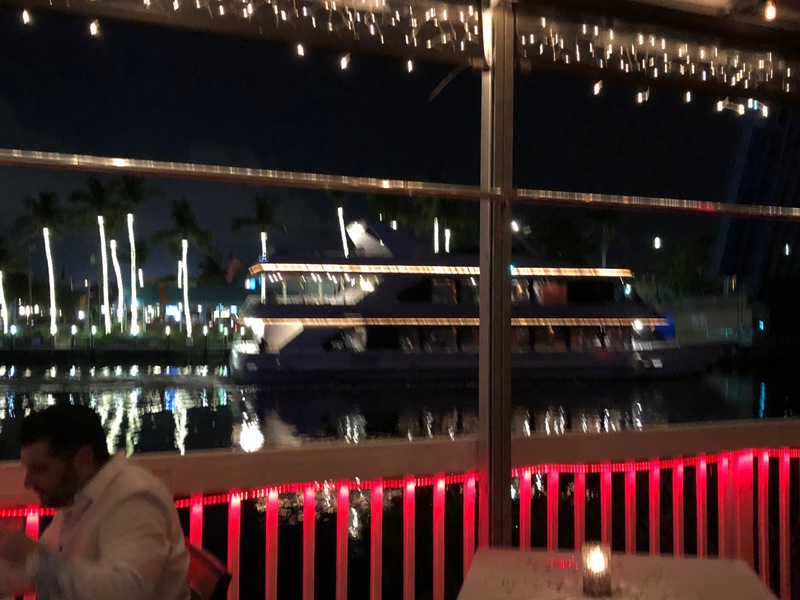 It is an Argentinian steakhouse with a beautiful location – right on the Intracoastal with a beautiful view of the water. 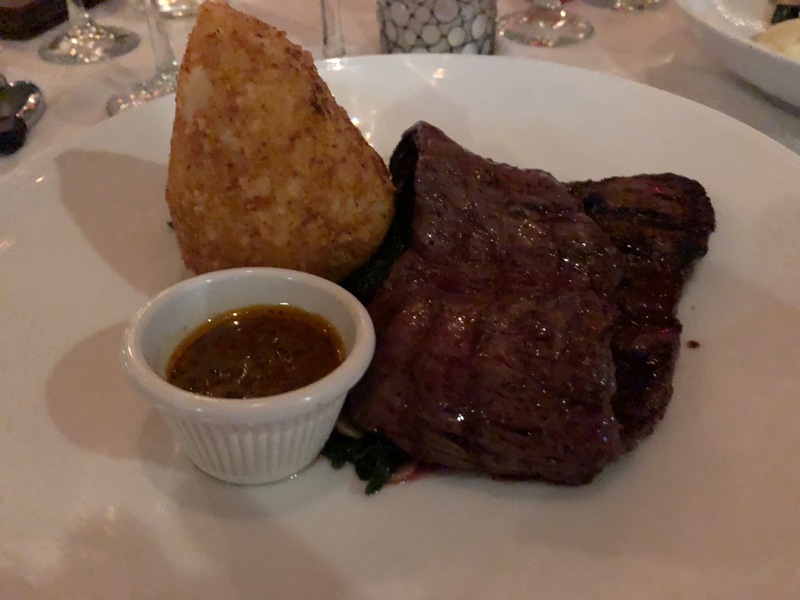 I’m a sucker for Argentinian skirt steak with chimichurri, and Susan had the filet mignon – both medium rare. 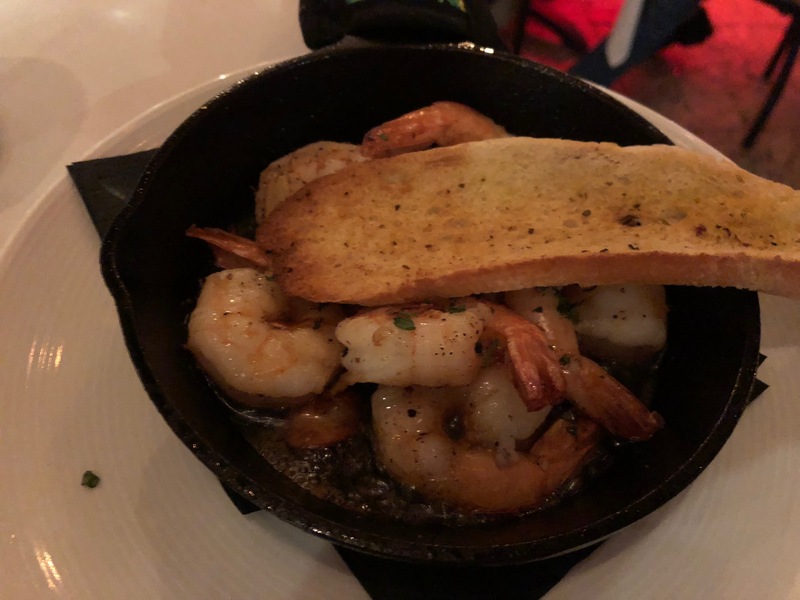 We split a side of garlic shrimp, to build our own surf ‘n’ turf dinners. Today is the first Friday of Lent – that day where Catholics everywhere wonder where they are going to get a good meat-free lunch that won’t leave them empty and hungry for more. 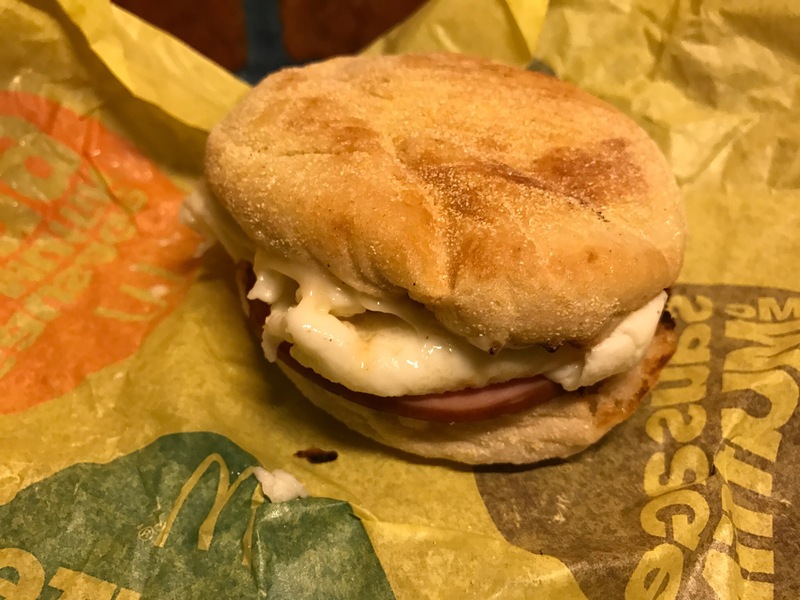 This is the time when all the fast-food chains like McDonald’s, Burger King, and Wendy’s begin hawking their Filet-O-Fish, Big Fish, and Premium Cod Filet sandwiches respectively, but I wasn’t in the mood for fast food – I did that on Ash Wednesday. That’s when I remembered my friend Rob always talks about the fish and chips at Miller’s Ale House. So I hit I-95 South for the two-exit trip to Yamato Rd when I thought, “Wait… fish & chips are pub food – and there is a pub just one exit further, just off of Glades….” So I ended up at Tilted Kilt Pub & Eatery. The menu describes TK’s Classic Fish & Chips as “Cod fillets hand-dipped in Samuel Adams Boston Lager® batter paired with fresh-made coleslaw & tartar sauce”. When Paris came with the entree, I thought the fish looked more like egg rolls. But once you break them open, the fish is fluffy, flaky, and moist, and the breading is light and not overpowering. The coleslaw is crisp and crunchy; not too “mayonnaisey” like some slaw can be. Finally the fries were savory and went well with the malt vinegar that is in abundance around the eatery. Overall, a fine choice for the first Friday of Lent – only 6 more to go until Easter Sunday, and LentWithoutBacon.com will be there every meal of the way. Suddenly my dog Milo starts barking and running for the front door. I didn’t hear a knock, but Man’s Best Friend has much better hearing than I do, so I surmised it must be a delivery person leaving something at the door. After all, I was expecting an Amazon Prime delivery. A package of pork – HOLY COW – I mean HOLY PIG! I then remembered my good friend Bill texted me a few days ago telling me to look up Tender Belly. I went to the site and found that they are purveyors of such product lines as “Pork Packages” and “Amazing Bacon”. 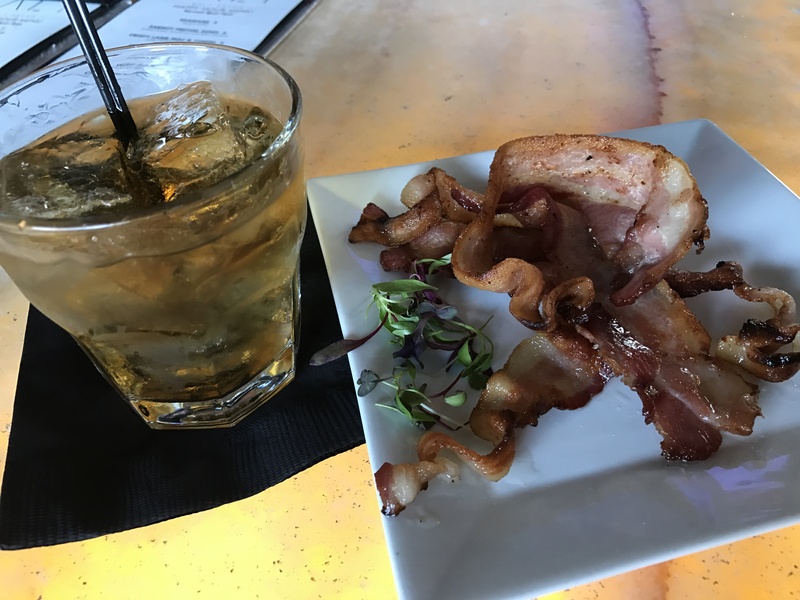 I scrolled down their site, and found a sight to behold – a looping background of sizzling bacon. You really need to go check this out… now. Since Bill won’t be here ’til next weekend, I thought I’d better get this into the freezer. When I opened the pillow-like package, I found that the contents were still frozen, kept cold by a freezer gel pack and some pretty serious insulation… and some really nice notes!